Huntsville, Alabama – The National Children’s Advocacy Center announced a campaign to collect $10 gift cards to assist children using the organizations services. These gift cards will be given to families struggling to get children to therapy appointments, and other NCAC services, because of financial issues. 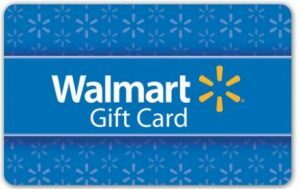 Walmart gift cards are preferred because families can purchase gas, food, school supplies, or clothing for their child. This $10 purchase can mean the difference between a child making a much needed therapy session – and not being able to attend. If you would rather give in cash or check form, the donation can be earmarked for Uber or Lyft to help families attend therapy sessions, parenting classes, and meetings with investigators handling the judicial aspects of the case. Donations can also be made through the NCAC website. Click the “Donate” link at the top of the page. The money can be earmarked for Lyft of Uber.